Shoes of Prey is a dynamic global company, pioneering the world of fashion and women’s shoes. 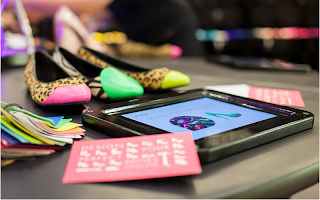 We give women of all ages the opportunity to design their very own unique bespoke shoes. Amongst our many fans include the likes of Carly Rae Jepsen. We’re changing the way women shop for shoes and we’re on track to become a significant international retailer within the next 5 years. We have recently opened our flagship store which is the first of it’s kind anywhere in the world. This is an incredibly exciting time for us and we’re looking for some amazing sales focused shoe stylists to join us on our journey! Here at Shoes of Prey we are hugely passionate about what we do for women’s fashion and we are looking for people to share that passion and want to create the most amazing retail experience out there for our customers. Designing lots and lots of beautiful shoes and helping our customers to create their perfect shoe too! Approaching and engaging with customers in the most friendly, fun and supportive ways possible. Consistently hitting and beating targets and KPI’s. Working with our Customer Happiness Team to ensure all orders go through to our studio as quickly and efficiently as possible. Helping to continue to grow and improve our store. Keeping our store looking beautiful through visual merchandising. Helping any customers whose shoes aren’t perfect to make them perfect. 3. You consistently beat targets and push everyone else to do better everyday too. 4. You’ve contributed to the growth and scaling of our Shoes of Prey Boutiques. You’ve helped to continue to grow our store making it an even better experience for customers everyday. Passion for sales. You’re passionate about selling and you’re seeking a career in retail sales, specifically in the fashion industry. Passion for design and shoes. You will be passionate about design and your past experience or hobbies allude to that creativity. Passionate about customer service. Customer Happiness is extremely important to Shoes of Prey, you love working with the people and have heaps of customer service experience. The location of this role will be David Jones, Castlereagh Street, Sydney. The hourly rate for this role is above minimum wage and is based on experience. The perks include shoes, of course along with target based incentives and treats! The role will report into our Store Manager, Maria Xiao. If you think you have what it takes to please email your resume and cover letter to joinourawesometeam@shoesofprey.com, please make the subject line “YOUR NAME - STORE SHOE STYLIST”, this is essential, any applications without this will be missed by our email filters.